With his signature beard and distinctive attire, Billy F Gibbons is instantly recognisable. He’s best known as the centerpiece and one third of ZZ Top, the band that came together in 1969 and has stayed as a key part of the American musical landscape ever since – the longest running major rock band still composed of its original members. 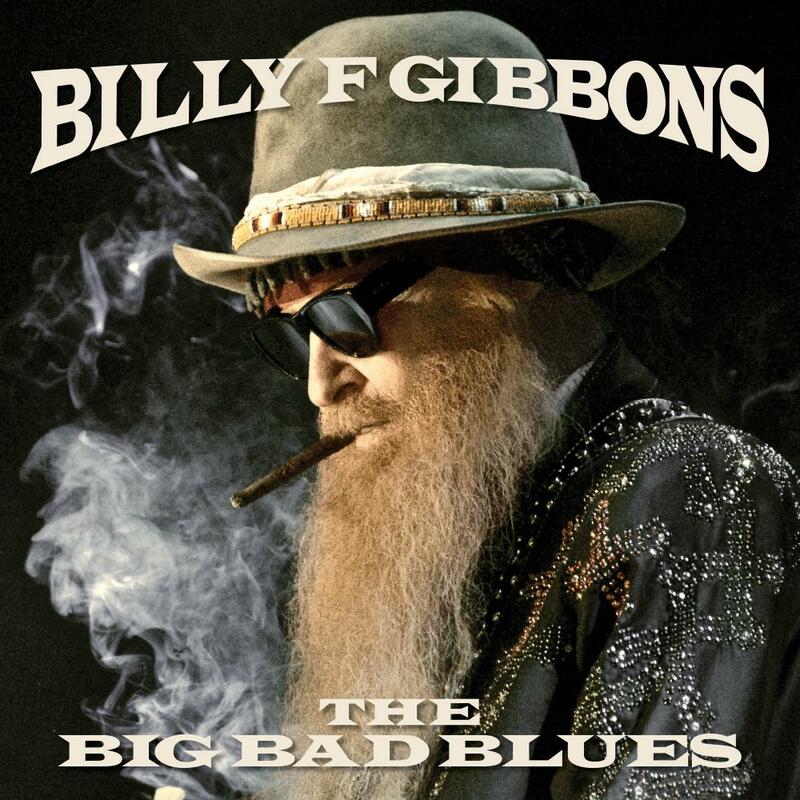 In 2015, Billy released his debut solo album, the Afro-Cuban flavoured ‘Perfectamundo’, and now comes its follow-up, The Big Bad Blues, issued via Snakefarm Records. Co-produced by the great man and Joe Hardy, it is just as the title suggests – a return to Gibbons’ blues beginnings. The Big Bad Blues contains BFG-ified renditions of songs associated with some of his heroes – ‘Standing Around Crying’ and ‘Rollin’ & Tumblin’’ by Muddy Waters, and ‘Crackin’ Up’ and ‘Bring It To Jerome’ from the Bo Diddley canon; these are joined by nine originals, including one written by Gilligan Gibbons, a/k/a Mrs. Billy Gibbons. Recorded in his hometown of Houston, the album features Guns N’ Roses/Velvet Revolver/The Cult veteran Matt Sorum on drums, and is a superb collection of down and dirty, raw rock ‘n’ roll blues, with Billy – one of the world’s finest guitarists working in the blues-rock idiom – clearly relishing the chance to celebrate his roots.